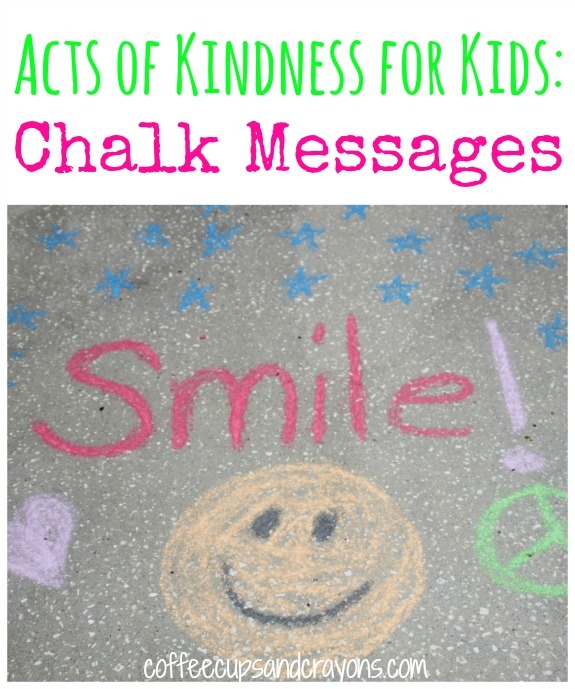 Leaving chalk messages for people is one of our favorite kindness acts and is perfect for summer! 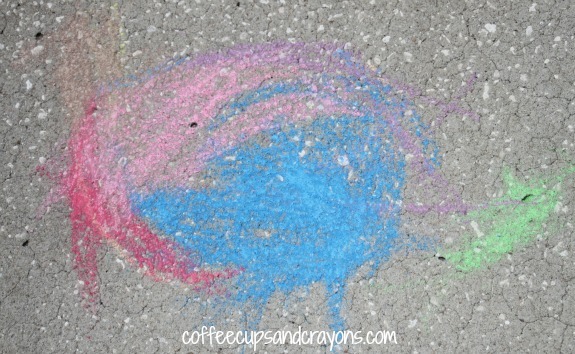 The only supply you need for chalk messages is sidewalk chalk so they are the perfect random act of kindness for kids. We have had so much fun leaving chalk messages for people that we know and don’t know. You can brighten a neighbor’s day by drawing on their driveway when they aren’t home or write a note at the park or on the sidewalk for strangers to find. We have always left ours anonymously, but it would be fun to leave a birthday message at a friend’s house or a congratulations message for a big day too! The sky really is the limit when it comes to chalk messages! I love it when I see chalk messages on the pavement at parks! Great idea to use it as an act of kindness for children. Pinning. Me too Jessica!!! There is just something so sweet about children’s drawings that makes it such a wonderful kindness act! Thanks so much for pinning!!! Thanks Deb! I cannot wait to check out that FB page! I did not know about it! So cool!!! I have always let my kids and now my grandkids play with chalk. A friend of mine moved into a neighborhood across the park from where I live, let her daughter and daycare kids draw on her own sidewalk and driveway. The homeowners association told her it was graffiti and that she had to clean it up or pay a fine! We were appalled! We’d never heard of such a thing. These kids were 5 years old and under. So, people might want to check to see what is acceptable in their neighborhood before leaving random acts of kindness of chalk. They might get slapped with a fine.